For more than 20 years, Stone Mountain Access has made a commitment to keeping your job site running smoothly, and we know that there’s more to a safe working environment than the right equipment. Our professionally trained staff is armed with the knowledge and experience to make sure your project is both safe and efficient. 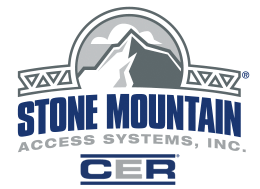 From professional engineering, to E&D, to maintenance of both temporary and permanent equipment, you can trust Stone Mountain Access.